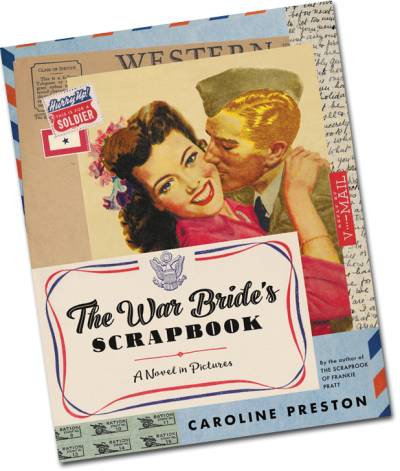 A World War II love story, narrated through a new bride’s dazzling array of vintage postcards, newspaper clippings, photographs, and more. 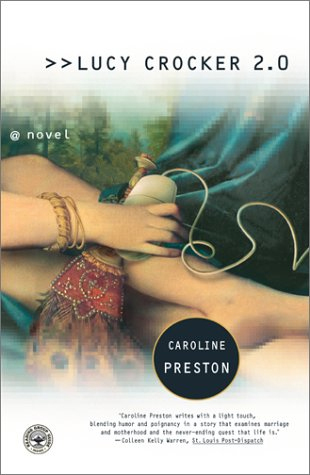 In her second scrapbook novel after the lauded Scrapbook of Frankie Pratt, Caroline Preston has once again pulled from her own extraordinary collection of vintage memorabilia, transporting us back to the lively, tumultuous 1940s and introducing us to an unforgettable, ambitious heroine who must learn to reconcile a wartime marriage with a newfound self-confidence. 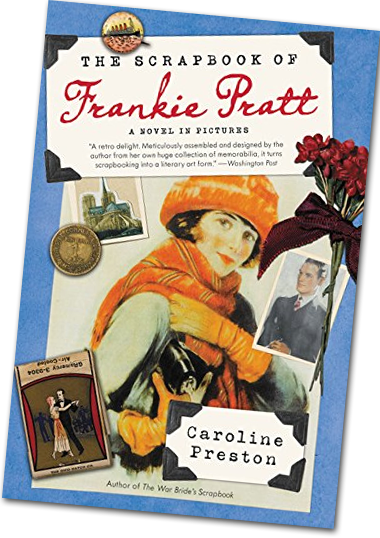 The Scrapbook of Frankie Pratt is a visually stunning, totally unique, full-color novel in the form of a scrapbook, set in the burgeoning bohemian culture of the 1920s and featuring an endearing, unforgettable heroine. A kaleidoscopic array of vintage memorabilia—postcards, letters, magazine ads, ticket stubs, catalog pages, fabric swatches, candy wrappers, fashion spreads, menus and more—tells the tale of spirited and ambitious Frankie’s remarkable odyssey from Vassar to Greenwich Village to Paris, in a manner that will delight crafters, historical fiction fans, and anyone who loves a good coming-of-age story ingeniously told. 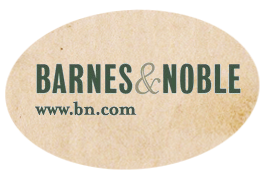 Nobody could have predicted that Lucy Crocker, former children’s librarian and unabashed computer ignoramus, would be the one to save the family’s software company. 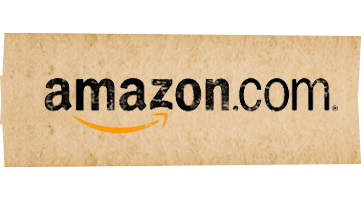 Nevertheless, that’s exactly what happens when she unexpectedly brainstorms a fantasy computer game called Maiden’s Quest. Suddenly, Lucy’s a cyber-guru. 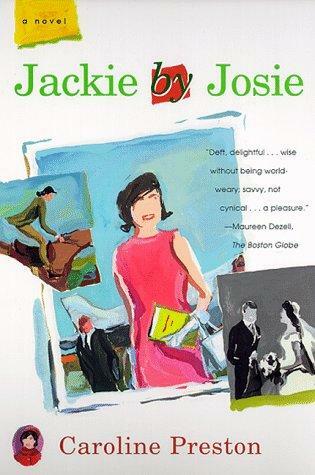 Follows a thirtyish graduate who unexpectedly finds herself helping a celebrity biographer research the life of Jacqueline Kennedy Onassis, and ends up discovering surprising parallels between her own life and that of the queen of Camelot. Before he wrote some of the twentieth century’s greatest fiction, before he married Zelda, F. Scott Fitzgerald loved Ginevra, a fickle young Chicago socialite he met during the winter break from Princeton. 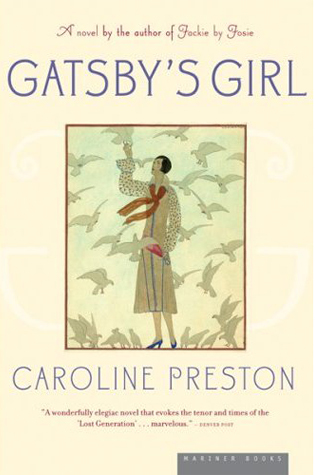 But Ginevra threw over the soon-to-be-famous novelist, and the rest is literary history.